It is important to seek the best long-term use of cropland that is both economical and sustainable. Photo courtesy of Troy Walz. The short response to each question is “no” but, like the answers to most economic questions, it comes with a disclaimer. To understand the results of our look at each of these questions, it is necessary to understand differences between “providing an answer” and “finding the best solution” for your operation. In our analysis of these questions, major assumptions have to be made and they are critical in determining the answer provided. Our approach is cost-based and includes the assumptions that: land costs remain the same whether you grow corn or forage; ownership costs on equipment do not change (i.e. you don’t sell the combine); and, a grazing day is valued according to pasture rental rates. We also need to qualify that our look at these questions assumed the land in question was productive corn ground (230 bushel average yield). Given this platform, the long response to each of the questions can be summarized as follows. Growing corn will have greater net returns than converting to annual forages unless corn revenues drop well below $600 per acre. Input costs for growing corn including fuel, labor, machinery repairs, etc. are likely to be comfortably under $500 per acre. Rental value on the annual forage produced is likely going to struggle to exceed the out of pocket expenses in producing it by much more than $100. Growing forages will not pay the cash rent because cash rent is going to be determined in the short run by the value of growing corn on the land. As noted above, this is likely to be higher than what the forage will produce in net returns. It is not economical to convert a pivot of good corn ground into perennial grasses for pasture. In the short run, establishment costs could be a challenge to cash flow. In the long run, even a ten year amortization period on establishment costs makes it a struggle for the forage rental value to exceed annual costs by more than $150. While performing a little better economically than annual forages, this scenario still falls well short of current expectations for corn returns. 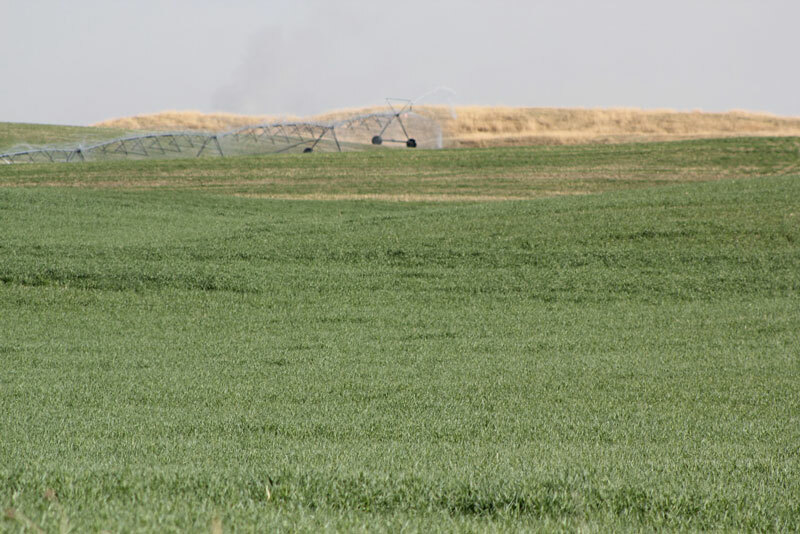 Annual forages that are double cropped (i.e. cover crops used for forage) and planted after the primary crop can pay off in many cases. This is because the cost of the land is billed to the primary crop. Producing forage on cropland can obviously turn a profit and can be extremely good for the soil. It can make sense to include it in your rotation. However, it is important to evaluate potential change relative to what you could be doing. Honest assessment of the costs and returns that go away as well as those that come on board is needed to see how the proposed change will affect your bottom line. Our examples are just meant to be that; examples given our assumptions. Your situation may be quite a bit different. We have posted the slides and decision tool files populated with our examples on our website. These can and should be modified to evaluate the options for your situation. It is important to seek the best long-term use of cropland that is both economical and sustainable. For more information about producing and using forage on cropland (including using cover crops and crop residues) see http://beef.unl.edu/cropland.